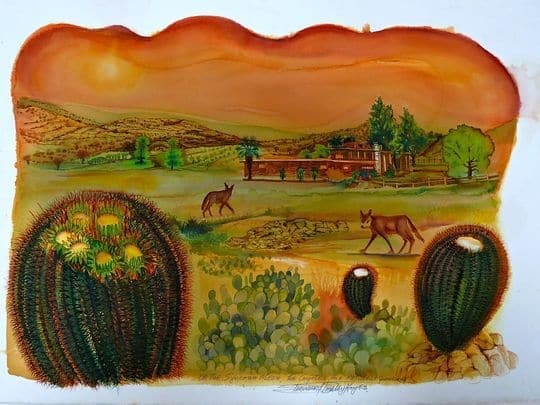 my sanctuary, watercolor impressions of the Land, the flora and fauna, bone dry, and under the spell of recent drought. Being the sole guest for many stellar events, My tentacles are ever grasping, to possess the interaction of the live vistas that avail themselves. Seems I am in permanent observation, exposed to the natural changes of the Seasons.